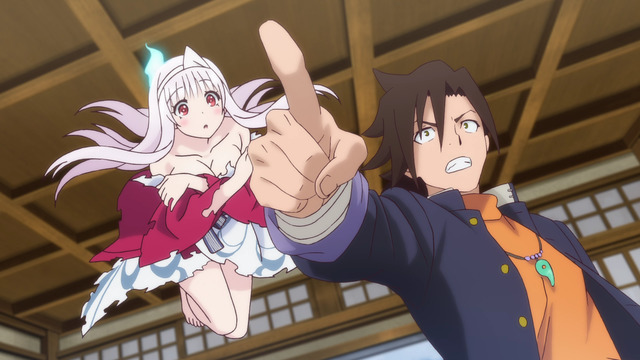 Archive for Yuragi-sou no Yuuna-san. A ghost with legs? Inconceivable. The main reason why I started watching Shichisei no Subaru (Seven Senses of the Re'Union) and Yuragi-sou no Yuuna-san (Yuuna and the Haunted Hot Springs) was because both shows featured ghost girlfriends and thus gave me an excuse to pad the Ghost Girlfriends tag on my blog. Besides, Tasogare Otome x Amnesia and Nanana's Buried Treasure were both good, even if Rokujouma no Shinryakusha!? was, uh, not.